The weakened U.S. dollar has firmly affected currency rates in other countries around the world. In Brazil for example, the Super Real has gained 50% over the dollar in the past three years. While not intending to alarm its foreign trading partners, Brazil has enacted the Buy Brazil Act, which is equivalent to the “Buy American Act”, instated by U.S. President Franklin D. Roosevelt in 1933. Brazil’s President, Dilma Rousseff, has initiated several measures, including $16 billion worth of temporary tax cuts for certain sectors. Brazilian Minister Fernando Pimentel defended the act in a statement: “We’re implementing, with many years of delay, the Buy America Act. That isn’t protectionism”. The real fear for Pimentel is the increase of imports from China. Brazil faces a painful predicament — while the economy keeps expanding rapidly, imports are outpacing the expansion. This has troubled the Brazilian business community. 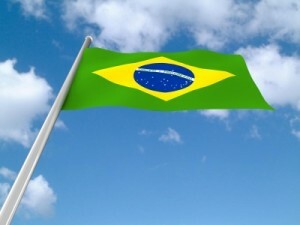 The de-industralization of Brazil has concerned officials. As the U.S. economy appears to be deteriorating back into recession levels, other countries are preparing to jump on the bandwagon to lower their currencies. The currency wars have escalated to a new stage. Fed Chairman Bernanke addressed the U.S. economic situation in Jackson Hole, Wyoming, at a symposium. Bernanke said that if necessary, options would be available to provide additional stimulus. Is Bernanke alluding to hopes of QE3? Additional stimulus could further contribute to the currency wars. As quoted by Minister Pimentel in the MercoPress: Who can compete with the US Treasury and the Federal Reserve?